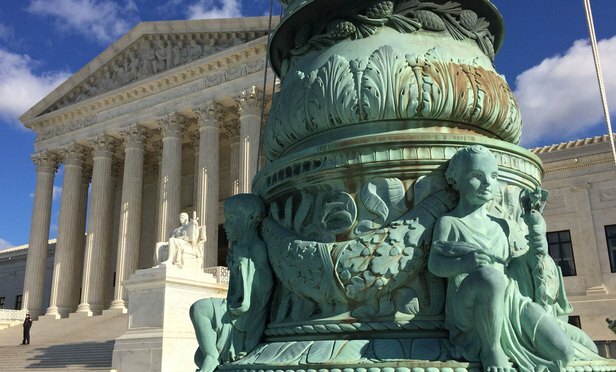 "States are actively looking for opportunities to expand their sales taxes to cover a broad-base of services, including services performed in other states," tax attorney David Fruchtman, chair of the state and local taxation practice at New York's Rimon, writes in an amicus brief in the Wayfair case at the Supreme Court. A tax nightmare could face big law firms and other multistate service providers if the U.S. Supreme Court this term requires retailers to collect sales taxes in states where the business has no physical presence. At issue is whether owners of a Colorado dispensary should be allowed to deduct the same business costs from their taxes as other, non-marijuana companies. lawyers provide insights on key considerations.